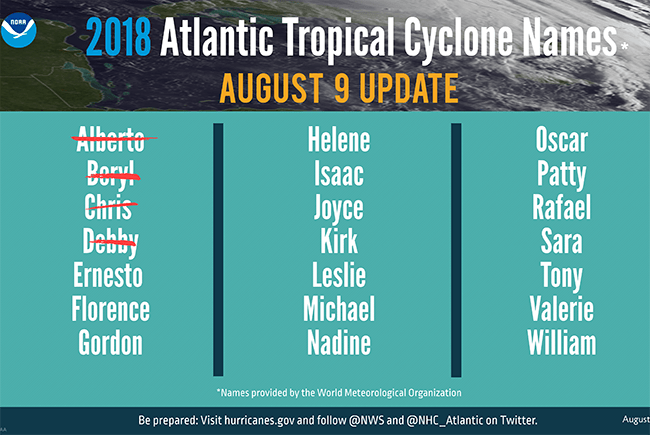 A graphic showing 2018 Atlantic tropical cyclone names selected by the World Meteorological Organization. So far this year we've seen Alberto, Beryl, Chris and Debby as named storms. 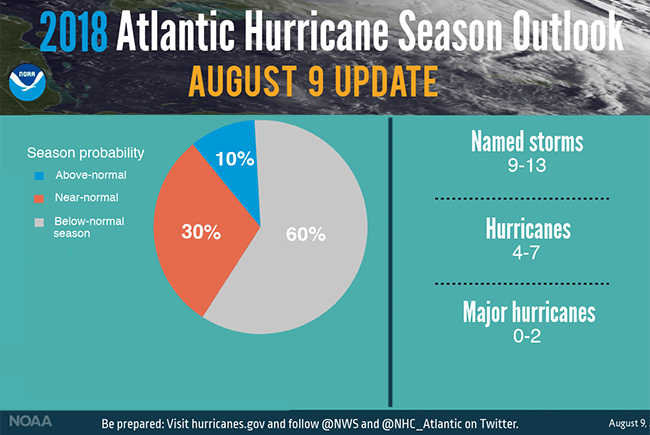 This news release is from NOAA.